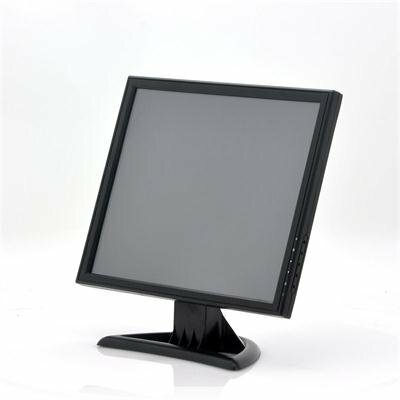 Successfully Added 17 Inch Touch Screen LCD Monitor - 1280x1024 Resolution, VGA, HDMI, TV IN, For PC/POS to your Shopping Cart. 17 Inch Touch screen LCD with VGA and HDMI Port. Perfect for POS Systems or replace your old PC Screen with this touch screen. 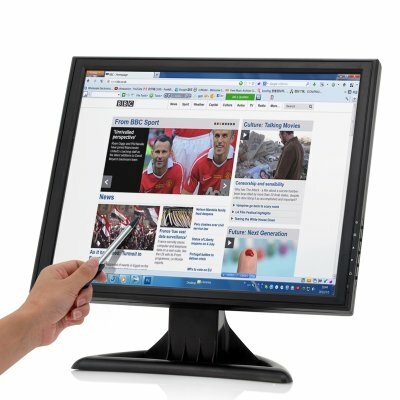 This 17 Inch Monitor will transform your PC into a touch screen controlled device. Simply hook it up and control windows with a touch of the screen. In combination with Windows 8 this monitor will truly show its full potential but no matter which version you run, you’ll notice the increase in productivity. Coming with an included stylus for an extremely precise input, you’ll be able to sketch, control your cursor, select or even let your kids play around in MS Paint. Perfectly fitted to be used as a POS (Point Of Sale) business solution, this touch screen monitor will let you and your employees quickly input orders. Folding completely flat, the monitor can be used as both in a tabletop position or in a normal upright position. But also artist and graphic designer will benefit from this screen. Draw directly onto the screen instead of using a drawing tablet or even sketching on paper and save valuable time. Thanks to the VGA port and an HDMI port, connecting any PC is made easy and you’ll even be able to hook up your TV cable to this LCD Monitor! Adapting to every situation, this 17 Inch LCD Touch Screen is now in stock and can be dispatched within 24 hours of ordering. Brought to you by the leaders in wholesale LCD and TFT Displays, Chinavasion.